Lo & Sons is a family owned travel goods company that makes lightweight, stylish, and functional bags inspiring people to travel lighter and smarter. 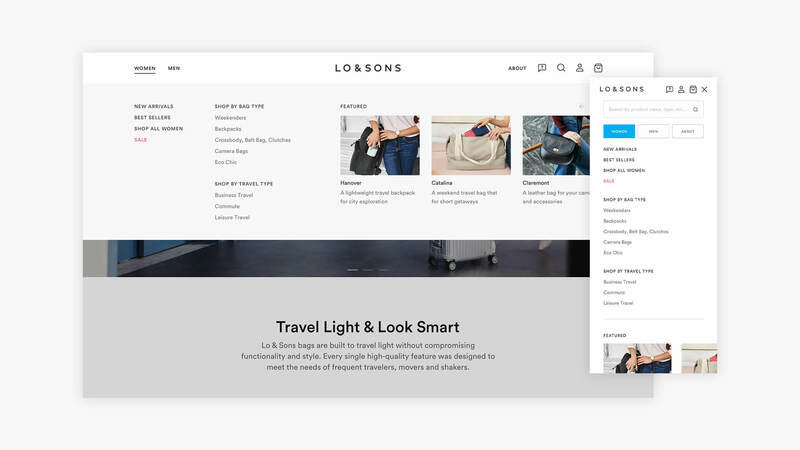 Barrel worked with the team at Lo & Sons to re-imagine their product detail page by bringing in elements from their current discovery pages to highlight the materials and features of the bags, educate about how to best use their products, and drive conversions. 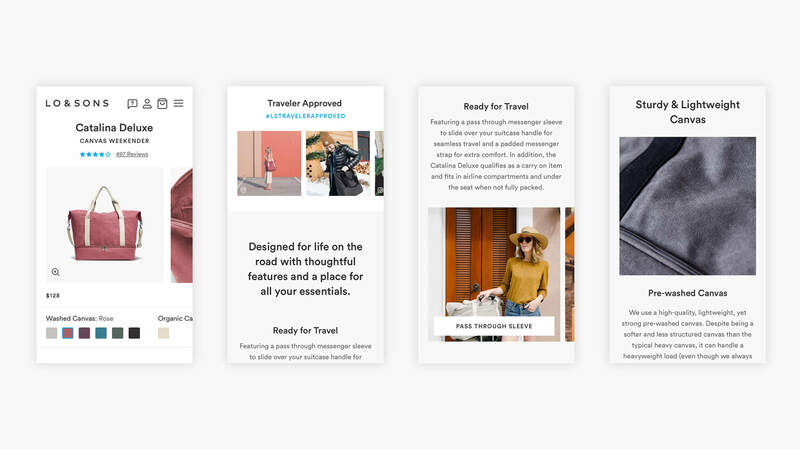 A core part of the product detail page redesign was optimizing the mobile shopping experience to drive conversions. Consistent with the desktop experience, it was important to keep all important information about the bag such as item name, reviews, image, and price above the fold. The product detail page also utilizes an interactive zoom feature to allow users to zoom in and see the products in full detail. In addition to the product detail page optimization, we also launched a new navigation for the site to highlight featured products and allow users to easily navigate through the different offerings. Barrel has collaborated with numerous e-commerce brands to think strategically about their digital experiences. The work with Lo & Sons adds to the agency’s growing roster of clients on Shopify Plus such as Dr. Jart+, MOSCOT, Hurom, Gitman, Peach & Lily, and SmartyPants Vitamins. See the site at LoandSons.com.